A moment ago I stumbled on this question on the Oracle community. User Saurabh tries to build a composite to send email from BPEL. But on testing the deployed composite in EM it fails with a remote fault. This despite of a correct configuration of the email driver and being able to test that using soa-infra -> Service Engines -> Human Workflow -> Notification Management. He found that the problem was a bug in JDeveloper/SOA QuickStart, causing the email activity not being wired to a Email UMS notification reference. Fortunately there is a patch for it, as described in DocId 2235669.1 on support. Apply Patch 24898307 to solve this. Years ago, I created a set of XSL templates and queries to create object types out of queries on the datadictionary of the Oracle Database. It only did basic types on tables, and selects on those. I wrote an article on it that still can be downloaded here. Later, I extended the framework to also do inserts and updates and follow foreign keys. The thing with foreignkeys is that you can handle them a as a detail-tables like Order Lines with an Order. Or lookup, like a place of birth, or country of origin, etc. I must say I was quite pleased with what it could do. Lately I stumbled on a question on community.oracle.com that ran about updating multiple tables using the database adapter. Normally you would need to do multiple invokes of a Database Adapter definitions, at least one per table, to do inserts and or updates. I created thus because Oracle Types are a very powerful means to get data from a datamodel with multiple tables in just one invoke. Or insert data into it. You just create a pl/sql procedure with a parameter based on the root object. 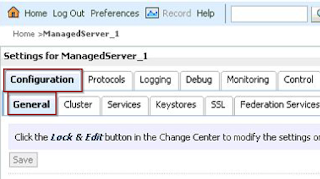 The database adapter wizard creates the accompanying XSD's and you only need to do a proper mapping in to the input variable and do the invoke. In the Pl/Sql procedure you call the particular method (sel, ins, upd) of the root object, that propagates into all the child and lookups. Most of the times that is enough. In more complex models, you might enhance the calling pl/sql. In $GitHub/Dotacc/Source/Dotacc/ddl/owner\ you'll find setup scripts for the framework. With setupTables.sql and setupPlsql.sql you create a bunch of tables and pl/sql with XXX_ as a prefix to support the generation of types. insertXslNL2.0.sql or insertXslEN2.0.sql creates the xsl in the xxx_xmldocuments table. XXX_TABLES: defines the tables for which you want to generate the types. The column generation_order defines in which order the types are created or dropped at recreation. XXX_FK_DEFINITIONS: defines the foreignkeys to consider. The FK_TYPE column defines if it should be considered as a child table ('DETAIL') or Lookup ('LOOKUP'). XXX_DERIVED_COLUMNS: defines virtual columns that can be looked up from another table. You can define a method that is added to do the actual lookup based on a lookup value from a key column. XXX_CUSTOM_METHODS: can be used to add custom methods to the object type. I added two datamodels (Doe_owner and hbc_owner under ddl) as a sample model. It would be nice to come up with a sample filling for named tables. If you have remarks, post a comment on the blog and/or do a request to contribute on github or send me a PM on community.oracle.com. Besides starting and stopping servers, it turns out handy to be able to list the particular system components of a Weblogic domain. For most domains, you might have an embedded/colocated Oracle HTTP server. But we're also busy with installing BI publisher domains, and there several BI Components are created. To list which ones are created (and determine where things might went wrong) it might be handy to list all the system components. For that I created the following script. 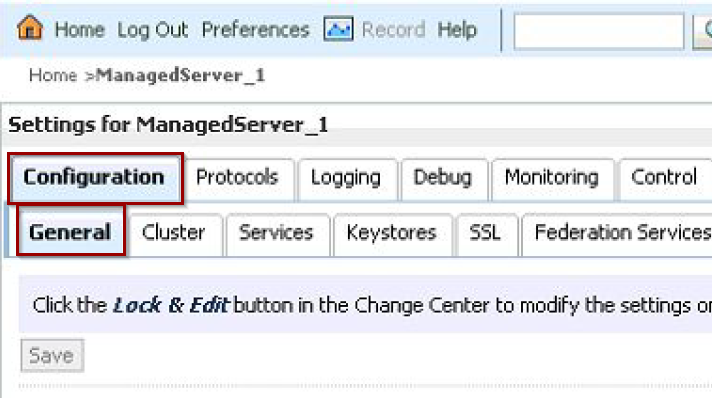 For the referenced fmw12c_env.sh and fmw.properties, I refer to Start and stop a WebLogic (SOA/OSB) Domain. echo "List Domain System Components"
Lately we implemented a Single Sign On solution for Apex, based on Weblogic 12cR2, ORDS 3.0.9, and ADFS as a federated Identity Provider. This combination turns out to be a marriage of 3 different worlds. So we ran in to a several issues that were not described in one simple how-to document. So in this document I try to assemble the information needed to do the end 2 end configuration (apart from the OHS configuration). For most of the SAML2 configuration on Weblogic, we could have my earlier article on SAML2.0 on Weblogic 11g, as a guide: Service Provider initiated SSO on WLS11g using SAML2.0 . This helped a great deal with regards to ADFS and 12c. The rest of the issues I'd like to cover here, for future reference. Before deploying the ords.war and i.war files to Weblogic (with Custom Roles), you'll need to make a manual adjustment to the ords.war. 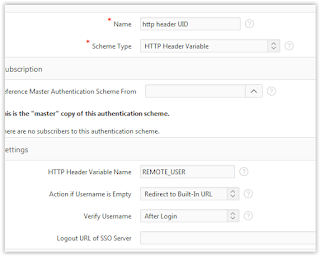 This is necessary, because after the Authentication using SAML2, the Rolemapper kicks in. And that one has to find a valid role. APEX uses REST-calls to fetch the images. It is important that all the database users relating to ORDS and APEX are unlocked, that passwords are known. Check for each of the following schema's if you can logon with the known password. If the grant is still missing the customer should verify that the file apex_rest_config_core.sql contains the following statement and run the script again. Validate that this column exists, through a describe of the table, and check if the table contains any rows. To have the Apex application use the authenticated user from Weblogic/ADFS, the authentication scheme needs to be changed. ADFS will use SHA-256 for signing by default. But WLS currently does not support that for SAML2. Although for many other services WLS does 'know' how to do SHA-256. I found articles how to update the policies for OWSM to use SHA-256. But I could not find how to do the same for the SAML2 configuration of Weblogic. So have ADFS do the signing with SHA-1. This might seem not secure, but when using TLS this is a minor thing. Although Weblogic 12c should solve this, in my opinion. See also this blog on Weblogic with ADFS, point 5 under the Takeway or Gotchas. Another thing we found is that ADFS expects a valid 'https://' url to the ServiceProvider for the entity-id. A regular unique string does not suffice. ADFS apparently checks this URL to be valid. So I used the default TLS-url to the Oracle HTTP server that I used to reverse proxy to the SP Weblogic. Lastly, in ADFS we needed to add an extra explicit claim had to fill the urn:mace:dir:attribute-def:uid saml2-attribute. This is needed for the identy mapper. I updated the IdentityMapper class that I used in my earlier blog. I found a little bug in determining the actual identity/username, that apparently did not occur in 11g. But I also refactored the class a bit, to my latest Java knowledge, for as far as applicable. In my earlier article I described how to add a reference to the jar file containing these classes to the java classpath field on the Server Start tab in the console. In 12c this apparently does not work, the class is not picked up. Add it to the class path by creating/editing the setUserOverrides.sh/.cmd file.